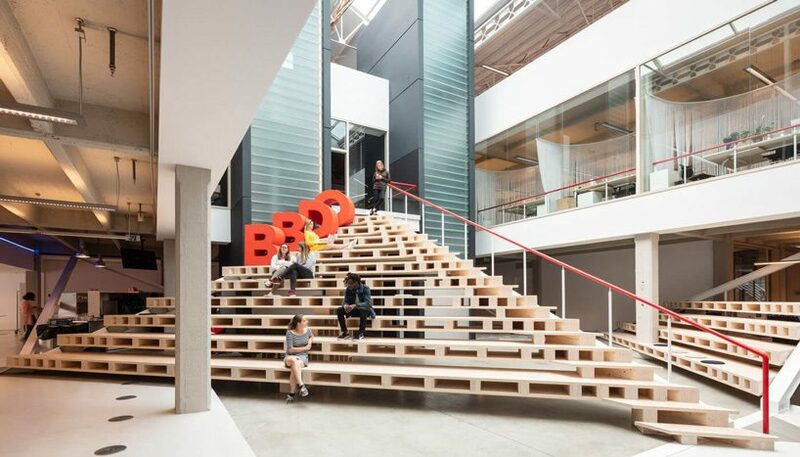 belgian studio zampone architects has developed a new spatial concept for creative agency BBDO, whose offices occupy a large, historically protected building in sint-jans-molenbeek, brussels. 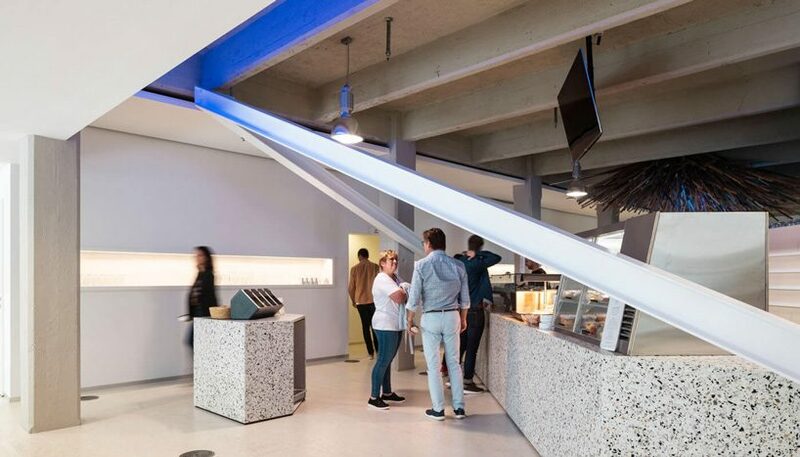 after being transformed from a warehouse into a workplace in 1999, the space has now been through a second renovation led by three main principles: dynamics, acoustics, and daylight. 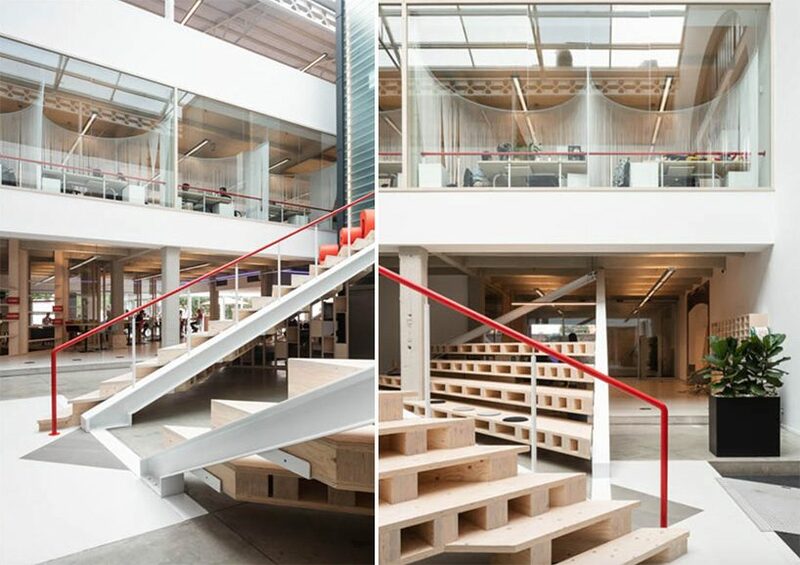 the new spatial concept by zampone architects sees the BBDO office as an open-plan space that ensures efficient use of each area and higher total capacity. 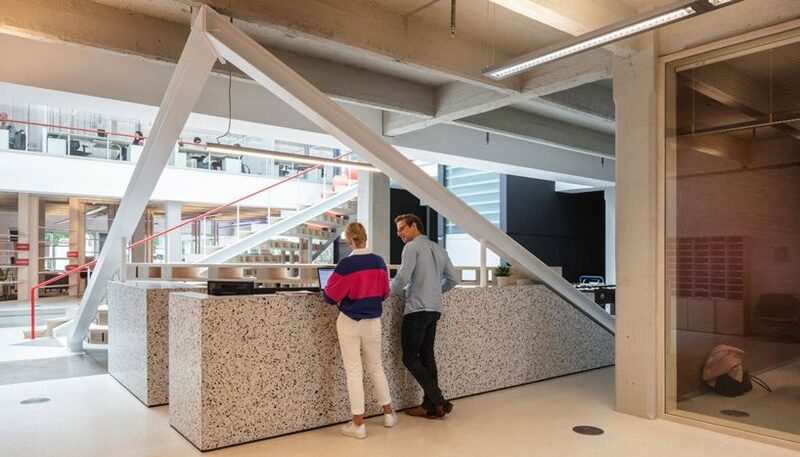 adapting to a ‘new way of working’ in which dynamic users continuously move throughout the static building, the workspace incorporates various interventions that cater to needs of privacy and togetherness. 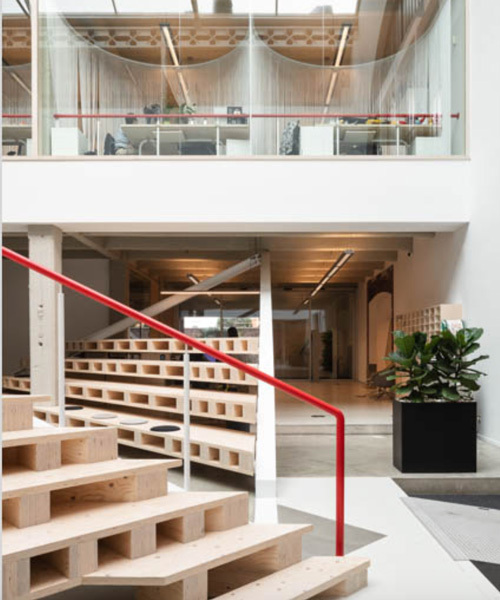 the main entrance to the office has been moved to the side of the building, allowing for the enormous, three-level-high hall in its middle to offer an insight into the creative ‘heart’ of the company. 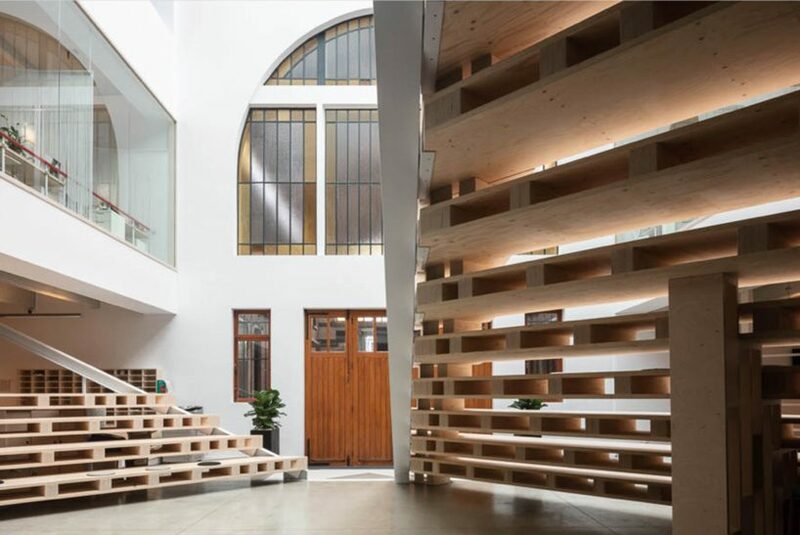 the ground floor accommodates collective functions which are shared with other companies in the building, as well as the restaurant, the tribune and the meeting rooms which are also used collectively. 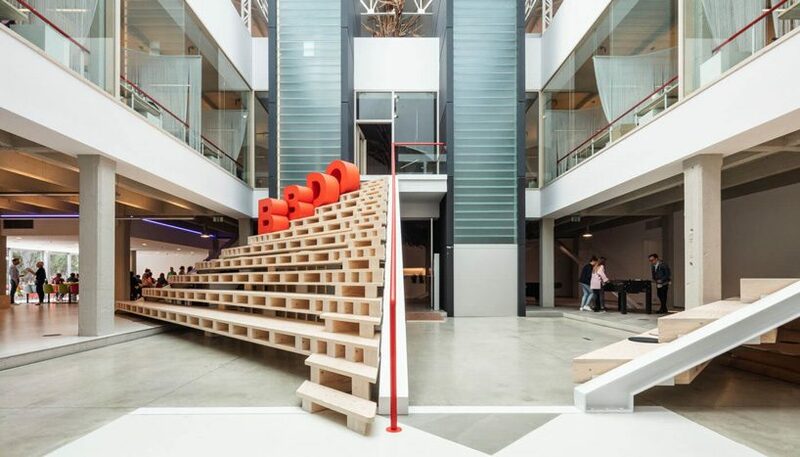 on the first floor, around the center of the building, the creative ‘heart’ of BBDO is located behind an indoor window and visible from every floor. 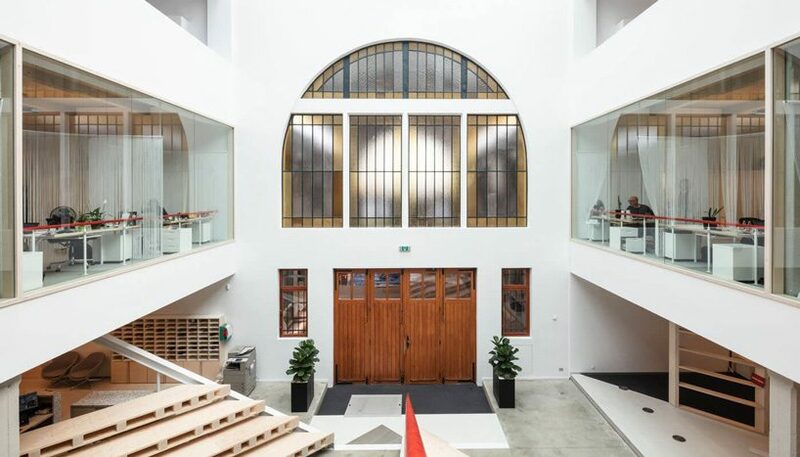 the most dynamic part of the team is housed on the second floor, where users travel throughout the day between different services and teams. 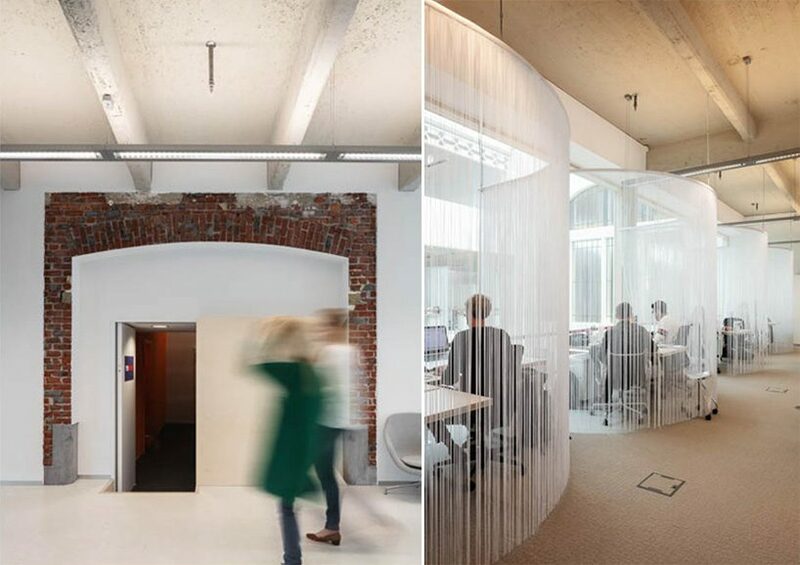 zampone designed mobile tubular steel elements between the desks that lead cables to electric outlets while functioning as carriers for all kinds of wall-separating and acoustic materials. noise is kept under control by only allowing meetings in provided cells, while informal chatting can take place in the restaurant, on the tribune, and around the circulation tubes. 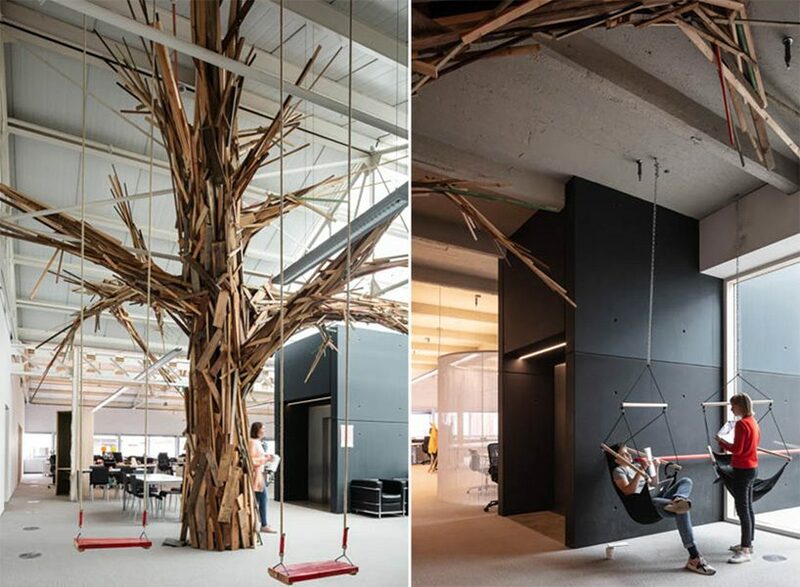 another important factor is daylight, for which the new workspaces are organized close to the windows and around the central void, while meeting rooms are deprived from natural light to limit occupation time and avoid long-term ‘nesting’.